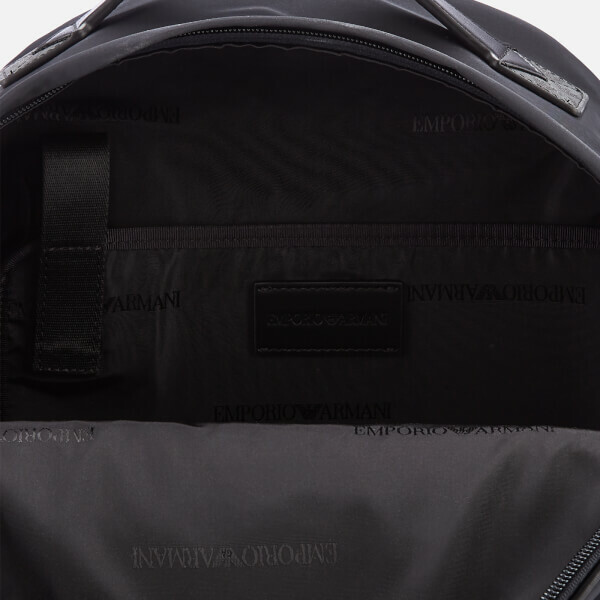 Navy blue backpack from Emporio Armani. 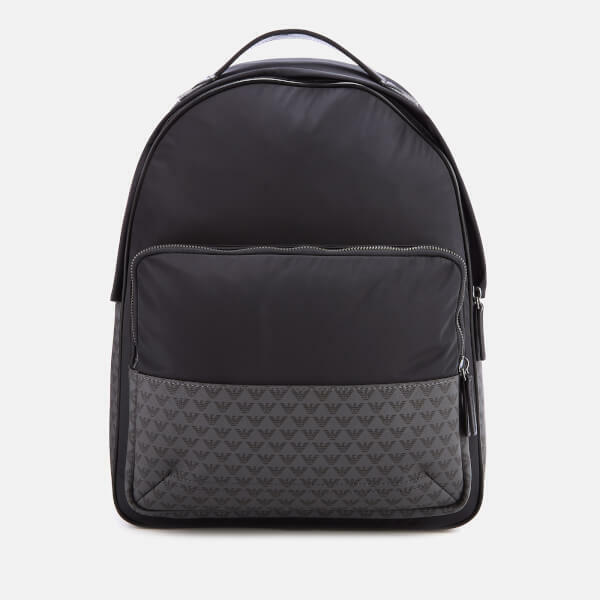 Boasting a lightweight nylon construction with synthetic leather accents, the rucksack features a zippered main compartment that’s roomy and textile-lined and houses a laptop sleeve secured with a Velcro strap. A large zip pocket at the front offers additional storage space for daily essentials. 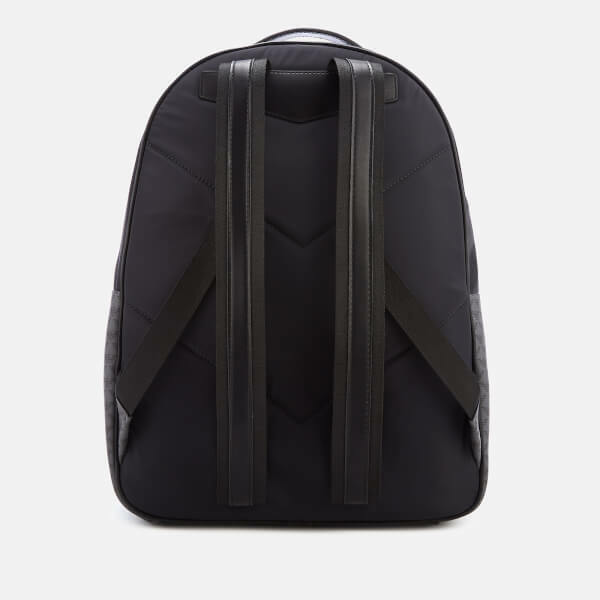 Transported via a black leather top handle and adjustable shoulder straps for a snug fit. 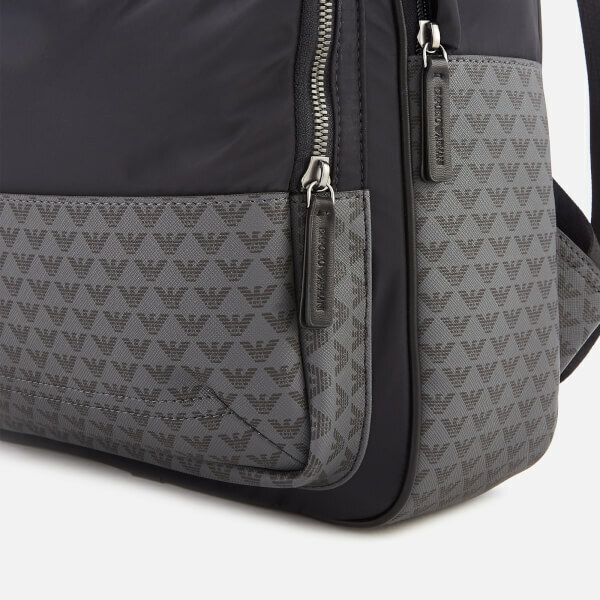 Detailed with Emporio Armani logo-printed panels at the front and sides. An integrated chevron-quilted back panel offers ultimate comfort and support for all-day wear. Logo-embossed leather zip pulls adds the finishing touch.